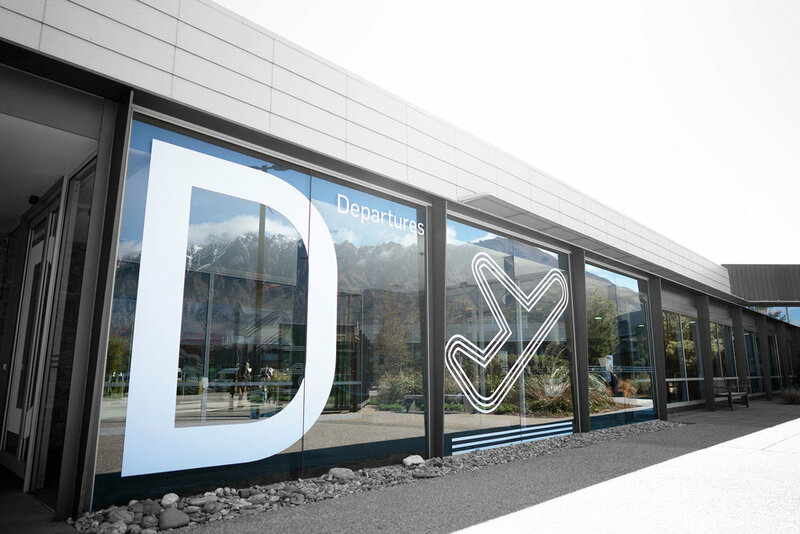 Queenstown Airport is the gateway to southern New Zealand, and a vital component of the regional and national tourism industries. 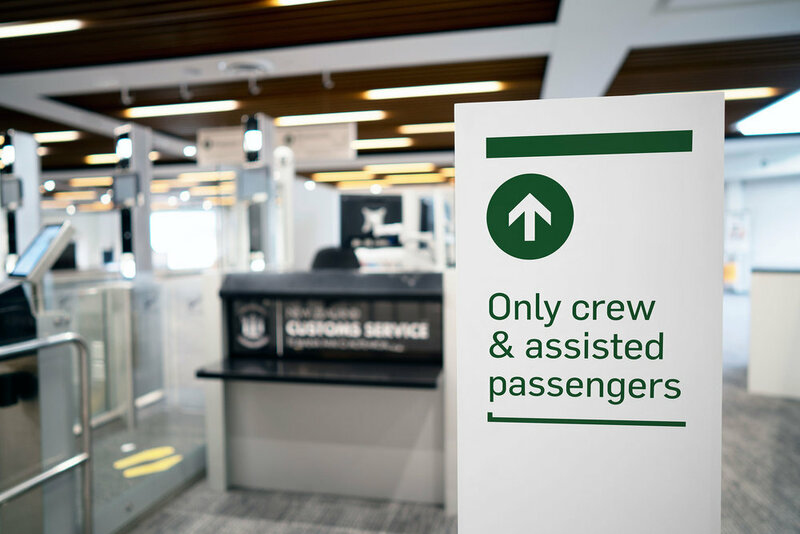 Having hosted more than 1.4 million visitors through the terminal last year, QAC strives to deliver an efficient and operationally sound airport with world-class facilities and an outstanding passenger experience that reflects the best the region has to offer. 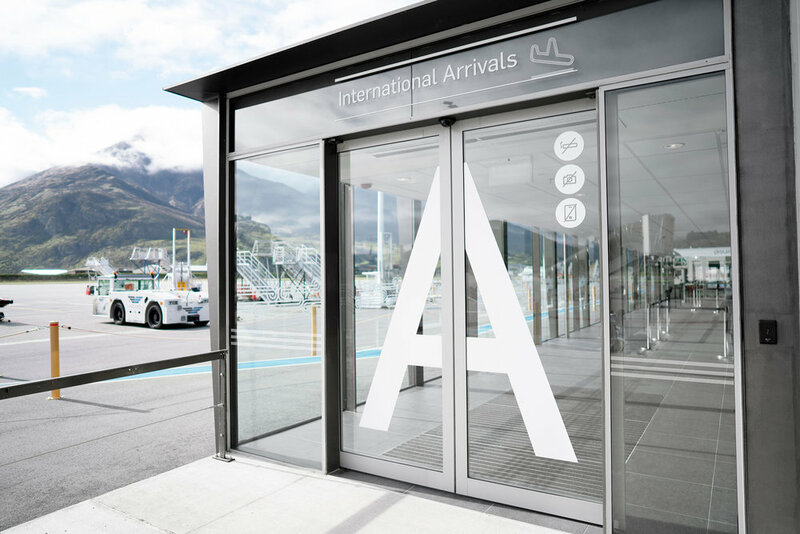 Queenstown Airport is voted the ‘World’s Most Scenic Airport Landing’ in an annual poll conducted by international private jet booking service PrivateFly. 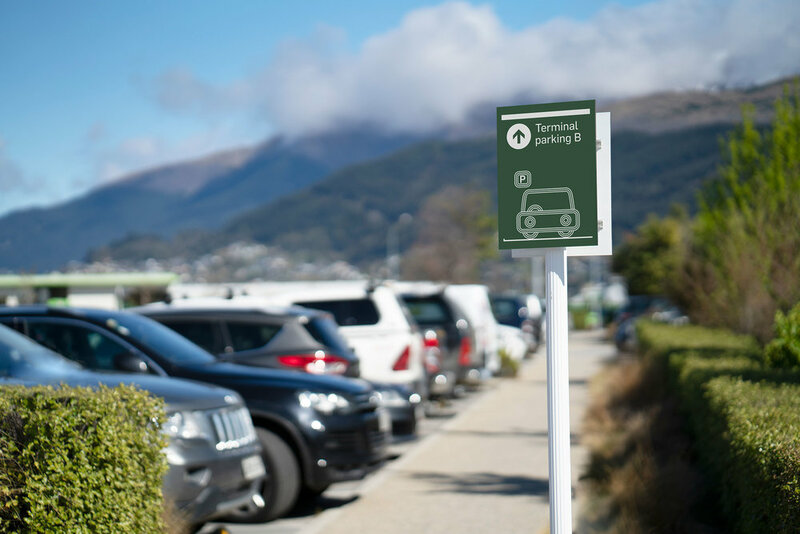 Queenstown's creative design studio makebardo was responsible for the re-design of the internal and external wayfinding. 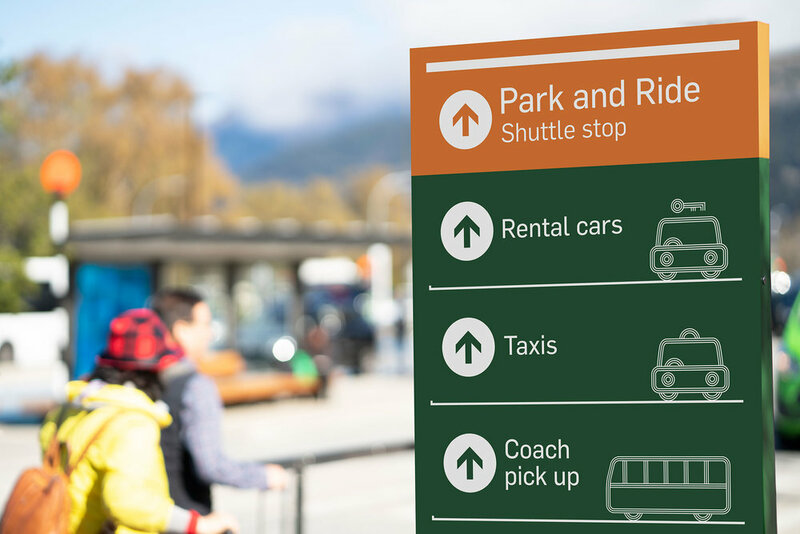 Their goal was to improve visitors journeys around the airport through a highly legible, clear and simple signage system. They set out to create an ultra user-friendly memorable experience. 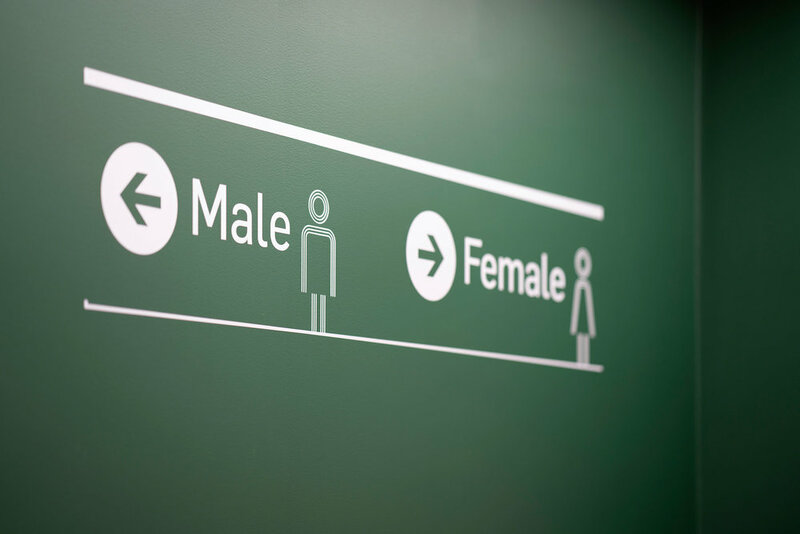 The concept developed was ‘Making the invisible, visible’. 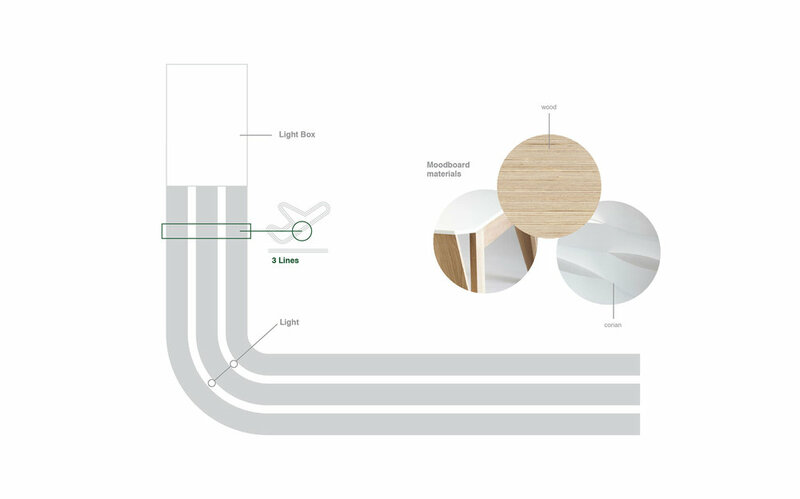 The idea was to visualise lines that are created when traveling from one place to another. It is a concept that highlights the value of honesty, the very essence of the airport. To make it possible, makebardo’s design approach is based around a flexible, modular and scalable identity of three intuitive and friendly lines. Flexibility is a key aspect of the whole visual language - it needs to be able to communicate with different audiences at different times. 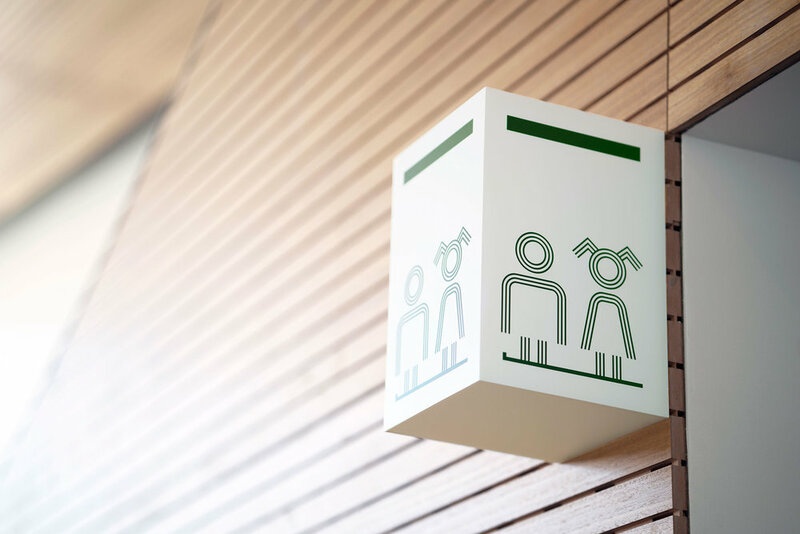 As a strategy, they decided to move away from the classic signage system, super-sizing the icons creating a really graphic and functional experience resulting in an innovative impact on the eye. 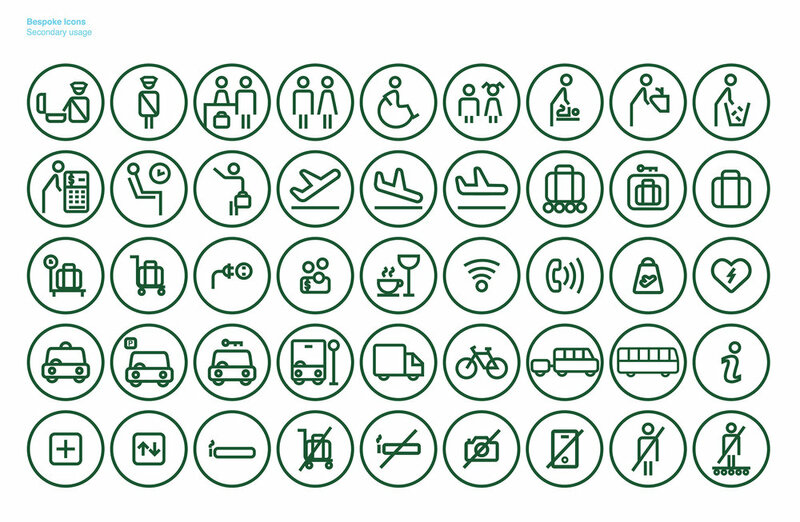 The graphic proposal was to create a bespoke set of icons following the concept of the three lines. The typography Flama was chosen to complement the distinctive graphic language. 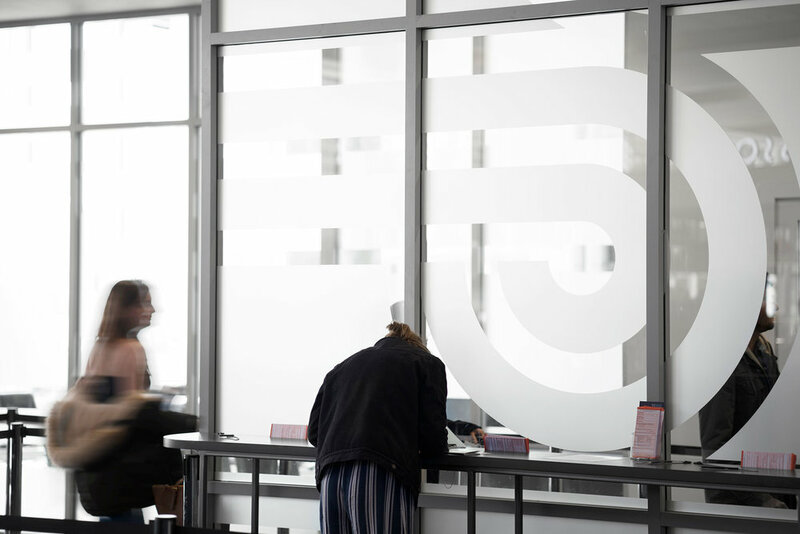 Flama is an unornamented sans serif initially designed for signage which mixes aspects of European and American sans serifs.This typography proves to be highly efficient for wayfinding systems. The palette is inspired by the colours of the brand identity. 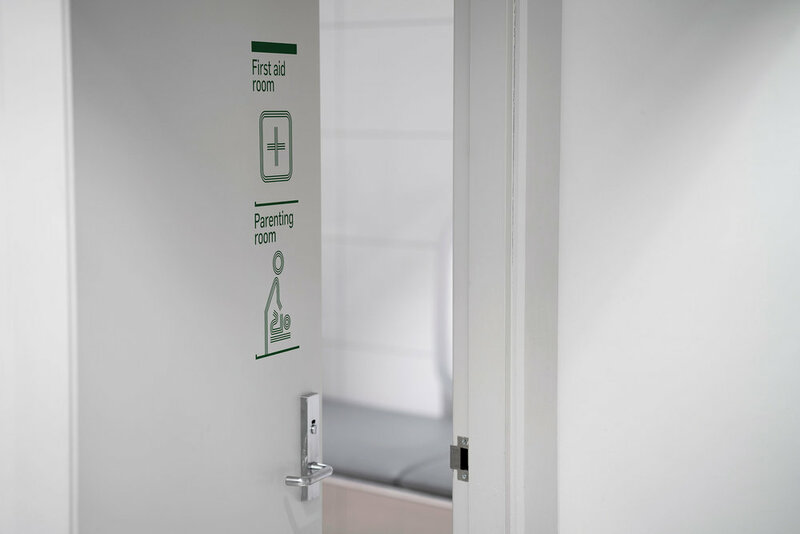 For the internal wayfinding they’ve used a white background with typography and icons in dark green and for the external wayfinding they’ve inverted the colours: dark green background with typography and icons in white. On the other hand for the 'Park and Ride' wayfinding they’ve picked the orange as a main colour palette. 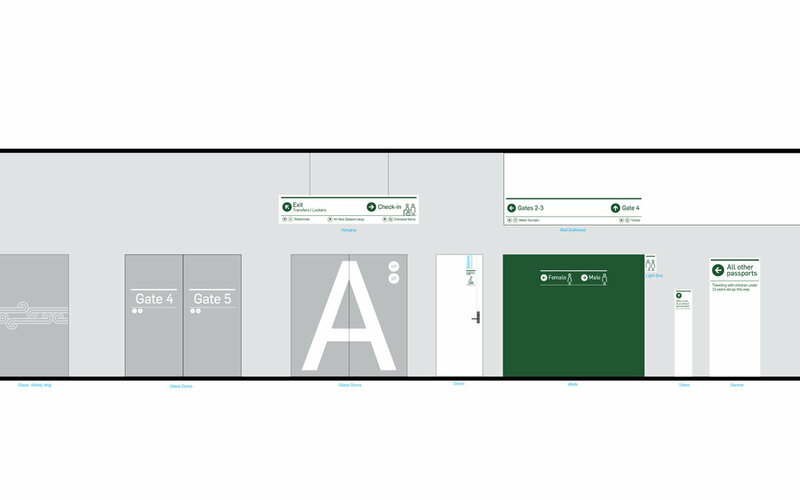 The traditional Maori Koru has been reinterpreted in three lines to be incorporated throughout the entire wayfinding system. 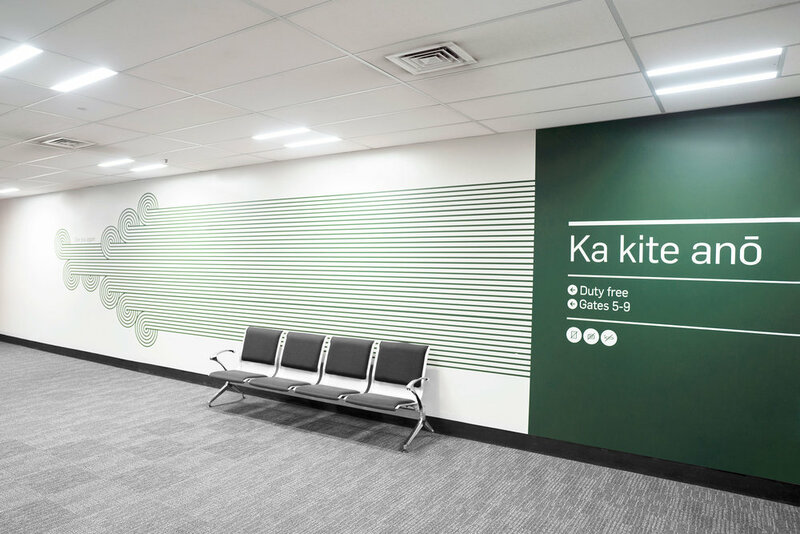 The Koru icon is used as glass safety strips and also on the ground as a pathway to various locations throughout the airport, guiding passengers in a beautiful and original way. All these elements have a good response to design principles including legibility, reliability, robustness, maintainability and adaptability. Another value of the signage identity is that the photographs are carefully picked from local artists instead of using classic catalogue images. The idea is to take care of every graphic detail to reinforce the unique identity and above all to support the local’s talent in our community. makebardo worked very closely with the airport team to understand and respond to their goals. They’ve agreed to put its passengers at the heart of everything as a user-centered approach.This relationship led to a carefully managed approval process at every project stage. 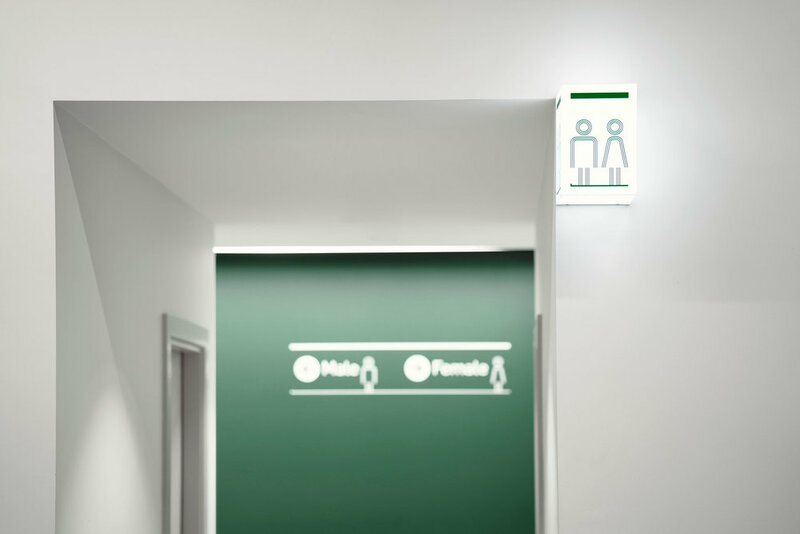 As a result, together they've achieve a highly distinctive and consistent wayfinding system with a unique personality.